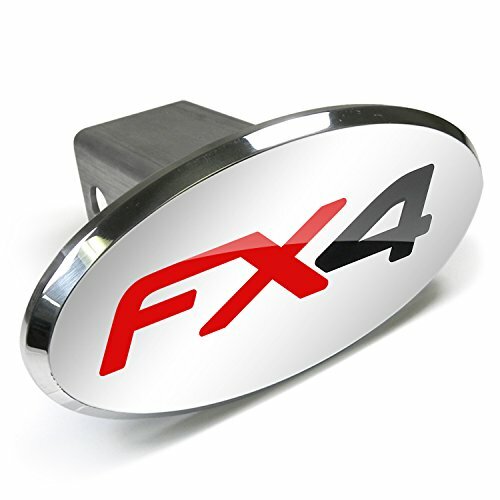 This hitch cover features a 3/8" thick 6061 T6 aluminum face plate with an engraved OEM style car logo. Epoxy imprint color will never fade away. Hand polished and power-coated to perfection with color infill. It fits all standard 2" trailer hitch receivers. 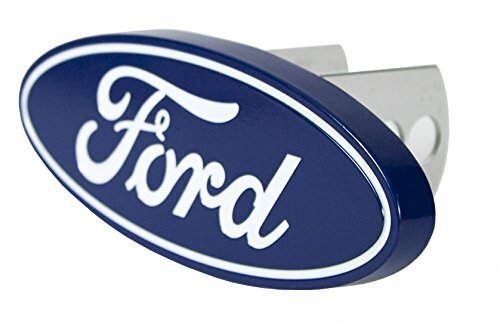 Face plate size: 6-1/4"W x 3-1/4"H in oval shape. Brand new official licensed product. 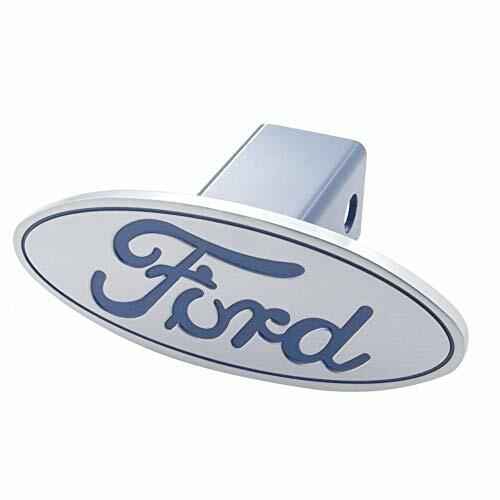 PlastiColor Ford Hitch Cover is made of 100% aluminum for style and durability. They are packaged with both 2" and 1 1/4" receiver stems, which feature multiple installation holes for the locking pin. This ensures that the hitch plugs fit virtually every application right out of the package! 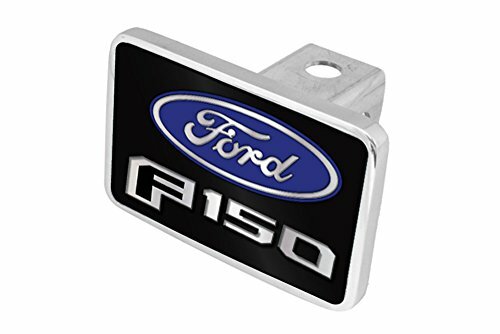 This hitch cover features a 3/8" thick 6061 T6 billet aluminum face plate. 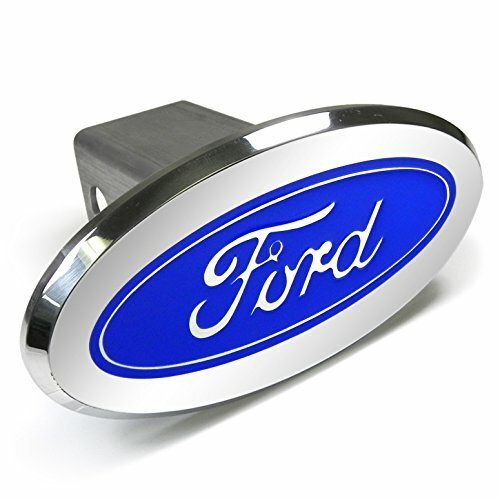 Engraved OEM style car logo has epoxy imprint color infill will never fade away. It fits all standard 2" trailer hitch receivers. 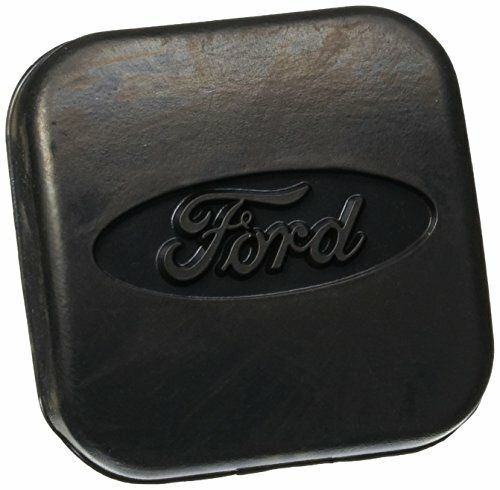 Face plate size: 6-1/4"W x 3-1/4"H in oval shape. Brand new official licensed product. 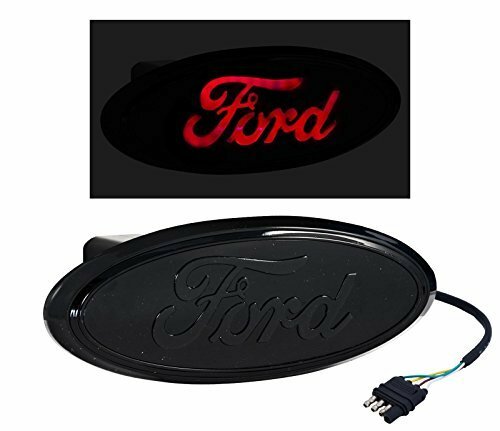 All black Ford Oval emblem that lights up red for Ford Trucks. 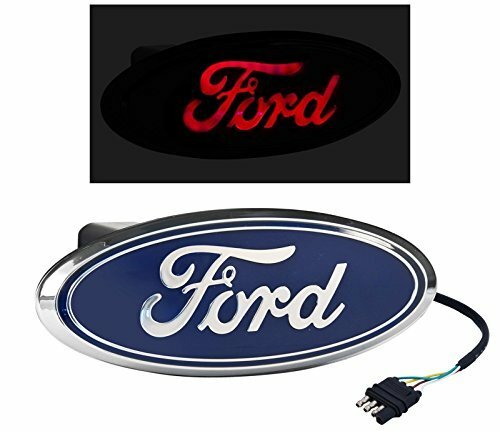 Ultra bright red LED's shine with the tail lights on, while braking or using hazards. Welded aluminum faceplate and shaft for enduring quality and ease of maintenance. 2" x 2" shaft fits Class III and Class IV Hitches the 4" x 6" faceplate has a polished 1/4" border. Laser-cut and hand assembled 1/8" acrylic inserts. This hitchplug is going to make a lasting impression. 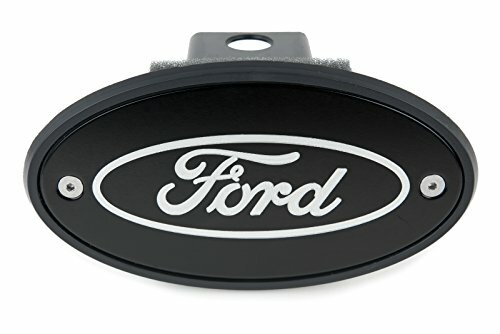 Shopping Results for "Ford Oval Hitch Cover"